As far as I have been able to discern from extensive reading of European literature, I possess all the inherent skills of successful and beloved duchesses across the centuries. I’m good at all things duchess-y (or is it-esque?). Duchesses are almost universally described as “highly intelligent,” just like me. I was born to be a duchess, and am now just a 21st-century lady-in-waiting. The most celebrated duchesses are excellent correspondents. I am a huge proponent and practitioner of letter writing. I typically write two letters (including “thinking of you” or birthday cards) per week. If I had more free time, I expect I would write even more letters. I am certainly intimately acquainted with enough people to write a letter a day for the better part of the year, and if these people were to write back (though they rarely do), I’d respond to their responses. You can see how this would fill up my mornings as duchess. Another thing duchesses are required to do is “run a household,” which generally means boss people around in order to ensure that the place (a palace, in most cases) looks its best. Ask any friend of mine whether or not I am particular about the placement of items in my home. They’ll tell you a story detailing my charmingly fastidious nature, I’m sure. Having a discriminating eye and endless resources leads to impeccable interior design and an impressive art collection; thus, duchesses are well-known supporters of arts and culture. I readily collect what art I can, though my most expensive acquisition is in the tens of dollars, not the tens-of-thousands of dollars range. Nevertheless, my list of favorite things includes both live music and libraries. Therefore, I am already a well-season patroness and eagerly await the opportunity to expand my contributions in this capacity. Duchesses are expected to host parties and special events. Again, I am highly qualified in this regard. While at parties, the best duchesses entertain their guests with topical conversation and witty banter. Duchesses infamously tell rather ribald stories, which I can do when pressed. Every season, I have at least one thematically appropriate event scheduled. In the fall, I put together my annual “Football Party” which includes an array of food and intense Bears’ football watching. Moreover, I ensure that an autumnal trip to the countryside takes place, clearly harkening back to a genteel, bygone era. One of the most famous parties in history is The Duchess of Richmond’s ball, a fascinatingly important party, and one whose significance I’m sure I could duplicate, if I only had duchess-quality resources at my disposal. Duchesses are always on the forefront of fashion (see Kate Middleton, now Duchess Katherine). While her style is enviable, I think I do alright with 1/1,000th of the budget. My most recent shopping trip resulted in the purchase of garnet suede lace-up boots. If that doesn’t scream “duchess,” I don’t know what does. I also like to wear a well-placed scarf, or sport a ridiculous hat. 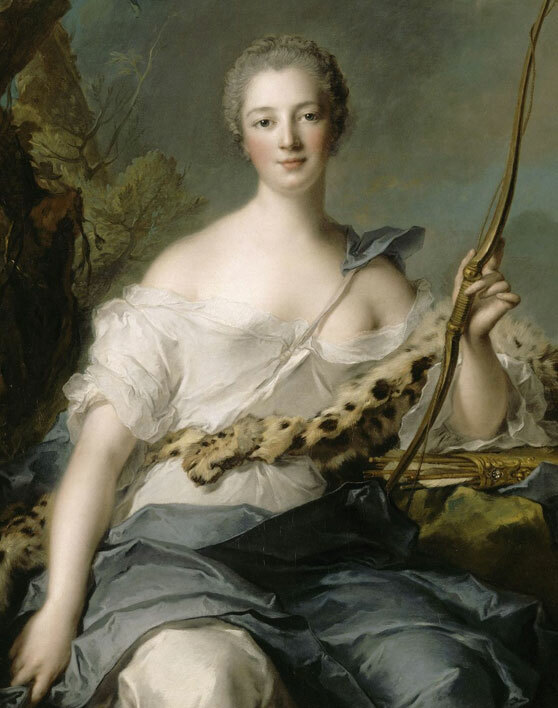 If she had been born in the 70’s, Madame de Pompadour and I would be essentially indistinguishable. though she was only a Marquise, and I, as a duchess, would outrank her. Thus, like any woman meant to be a duchess, my main task is to charm a lesser prince, which would not have been a problem had I spent the summer on a yacht in The Mediterranean as I should. Lesser princes are the younger brothers, not directly in line for the throne, and decidedly more fun (see Andrew and Harry), so I consider it a win-win.